The Milwaukee Observatory will be open Saturday, Sept. 15, from 10:00 a.m. to 3:00 p.m., and Saturday, Sept. 22 and Sunday, Sept. 23 from 10:00 a.m. until 5:00 p.m.
Alderman José G. Pérez invites residents and visitors to the official ribbon cutting Saturday, Sept. 15 at 10:00 a.m. of the Milwaukee Observatory, a stunning, interactive public art installation by Bradley Tech High School students that documents and celebrates the history of the Walker’s Point neighborhood. The exhibit is set up on the lawn of the school at 700 S. 4th St. 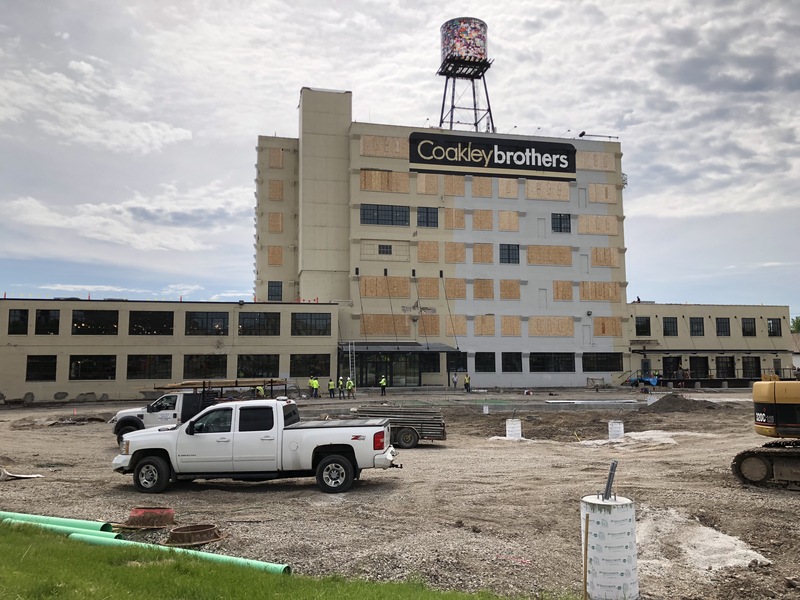 Covering nearly a quarter acre, the towering installation reveals how artists, innovators and immigrants created a new neighborhood that helped secure Milwaukee’s place as a significant urban center and an economic powerhouse. Students will be on hand to record neighbors’ stories, scan old photographs and documents, take pictures of residents and document artifacts specific to Walker’s Point and Milwaukee. The exhibit is presented through a partnership with Discovery World, which guided students in an exploration of archaeology, design, digital media and visual art, and immersed them in Discovery World’s Art & Archaeology of Me program. The Milwaukee Observatory will be open Saturday, Sept. 15, from 10:00 a.m. to 3:00 p.m., and Saturday, Sept. 22 and Sunday, Sept. 23 from 10:00 a.m. until 5:00 p.m.
At the event there will be a roundtable conversation featuring some of Milwaukee’s breakdancing pioneers representing different waves of the dance in Milwaukee. Parrandas are musical festivities during the holiday season most common in Afro- Caribbean Latin American countries and parts of South America.